Today's computerized and Internet driven world makes finding a home a lot easier than it was a few years ago. For example, this website allows anyone who visits to search the Florida MLS system database for free. With this information available at your fingertips, why should you use the services of a Realtor to help you to buy a home? 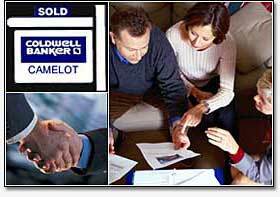 A Realtor® is a trained and licensed professional that deals with buying and selling real estate on a daily basis. The right Realtor intimately knows the area where your potential home is located, knows any local circumstances that may affect your decision to buy and knows the realistic value of the property you wish to purchase. They negotiate the price, the terms of the contract, present the contract to the seller, coordinate the inspections, address any problems that may arise and stay with you right up to the closing to make sure you are satisfied with your purchase. Some Realtors attempt to sell homes in markets where they are not familiar. This could be disastrous as local knowledge is very important before placing an offer or considering a location to live or invest. Finding the right Realtor is worth the effort. Before seeking the services of any Realtor, ask about their experience in the market you are considering. Ask for the prices of the homes they have sold in the area and compare that with the price range you are considering. Judy Kelley is one of the most knowledgeable and successful Realtors in Mount Dora. For over 10 years, she has helped hundreds of home buyers find and buy their perfect Florida home. Judy returns phone call promptly, is a member of the Relator's Ethics Board and a detail crusader. If you would like to utilize Judy as your Realtor or have questions about Mount Dora Real Estate, please contact her though this website.